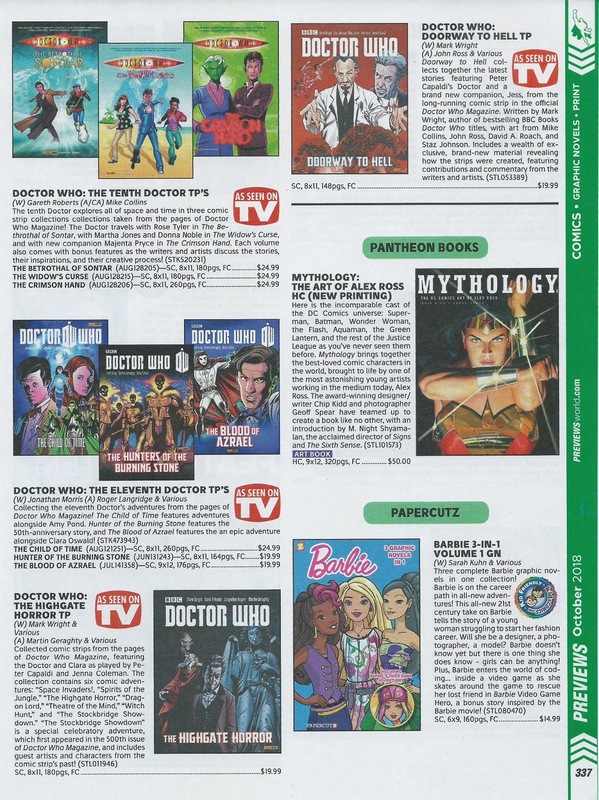 Diamond Comics is celebrating As Seen on TV month and spotlighting tie-in items in the latest Previews catalog! Check out the listings for which Doctor Who graphic novels are still in print from Panini and make sure to order the ones you need for your collection. Also take a peek at the cover for the Thirteenth Doctor #3!